Our goal at Green River is to uphold the Fiduciary Standard while delivering exceptional, personalized Financial Planning and Sustainable Investment Services to a select group of motivated clients. Attaining the CFP® mark requires a combination of experience, rigorously tested knowledge, commitment to ethical behavior, a methodical approach to Financial Planning, ongoing continuing education, and most of all, fidelity to the highest standard of client service, the Fiduciary Standard. To learn more, visit the Certified Financial Planning Board of Standards website. One of the most important applications of the Fiduciary Standard is the requirement that the Financial Planner avoid conflicts of interest when providing financial planning or investment advice, and to disclose any relationship that might even be considered a possible conflict of interest. Unfortunately, the Financial Services industry is filled with financial professionals who are eager to sell their firms’ proprietary products – a classic conflict of interest. 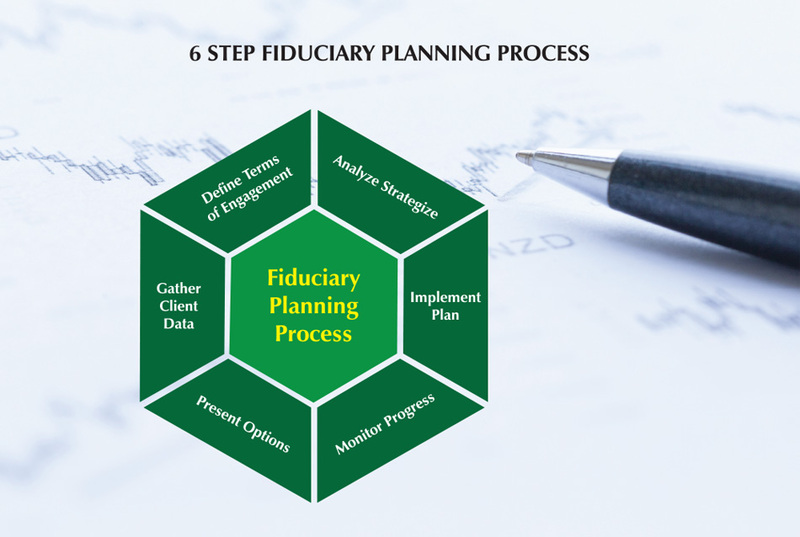 Although organizations offering financial services may use the word “fiduciary” in their sales materials, the only financial professional for whom there are meaningful consequences for violating the Fiduciary Standard with clients – including loss of the CFP® designation – is the Certified Financial Planner™. At Green River we take the Fiduciary Standard seriously, and consequently have affiliated ourselves with firms that do not offer proprietary investment products. You can find out more by navigating to the Strategic Partners page of the website. One explanation for the rapid recent growth of Sustainable Investing practices (which include strategies called Socially Responsible, Ethical or Impact investing) over the last few years is the publication of thorough studies by a variety of sources demonstrating that investors who utilize these strategies do not pay a performance penalty. The “Performance” section of this website contains links to numerous recent performance studies by the Morgan Stanley Institute for Sustainable Investing and the independent fund rating agency Morningstar, and a link to a recent New York Times article on Sustainable, ESG Investing. The first step: Once a potential client expresses an interest in working with us, we take her through an educational process to make sure we are a good match for each other. We ask each potential client to return a completed Risk Tolerance Questionnaire so that a thorough assessment of personal investment goals and preferences can be made. If we mutually decide that a formal Financial Plan document is to be generated, we will ask you to complete a detailed Questionnaire so that we are aware of all relevant aspects of your financial circumstances. These steps must be completed before a Financial Planning and/or Investment Engagement Agreement is signed. Minimum Account Size: $500K. In some cases, exceptions will be made for people who plan to transfer other accounts or who are making substantial periodic contributions to a retirement plan, such as a SEP IRA or 401(k) Profit Sharing Plan, managed by Green River.